That’s easy. When you buy a Certified Used Honda at Kendall Honda of Fairbanks, you can rest assured that only high-quality, well-maintained, late-model Hondas are even eligible for certification. That’s because every certified Honda must meet stringent requirements in regards to its history and condition. The CARFAX® history report and service records are carefully screened and each candidate vehicle is put through a comprehensive 150-point vehicle inspection by our Honda trained service technicians. Each vehicle is scrutinized for fit, finish, and any worn items are repaired or replaced. Each vehicle is fully serviced, cleaned and ready to roll. Limited Warranty. That’s an extension of up to four years of the original new-car coverage. 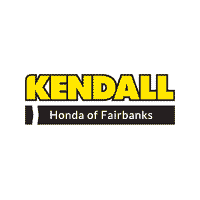 By going with a Kendall Honda of Fairbanks Certified Used Car, you’ll have access to financing through Honda Financing through Honda Financial Services. Also, depending on your situation, it might be to your advantage to lease your Certified Used Honda. Consult with your salesperson to explore your full range of financing options and determine which is the best for you.